What is a Boogie Bump? Some dedicated test dummies who love the desert had to put their heart, soul and yes their prized diesel through its paces to find the perfect composition of secret materials that could forgive any shock big or small. It matters. If you check the rock like firmness of your factory bump stops you will see the difficulty of absorbing any impact rather than the progressively smooth deflection of Boogie Bumps. Boogie Bump Stops are a fundamental component in the control and comfort of your suspension system. As your vehicle cycles through all of its suspension travel the last few inches are critical to slowing the kinetic energy of your truck to a comfortable velocity without rebounding the frame off the axle with whiplash like speed. The term “G out” can be applied here. It basically means no more suspension travel left you are now using chassis flex and spine compression to dampen the forces. Some would consider this is uncomfortable to say the least. Unlike other composite bump stops that have been on the market Boogie Bumps conquers several of the failures that plagued this market. For one, they are not brittle like the infamous DYSKOS which certainly performed well but just couldn't hold up to prolonged abuse. Boogie Bumps have been tested in the lab and in real world applications. The lab showed that they could be compressed repeatedly to 0.50” without splitting or cracking @ 40,000 pounds of force. Other aftermarket bump stop options created too much rebound and would literally rebound like a basketball dribbling on the court. Instead of slowing the compression and letting the spring’s do the work these rubberized bumps would create an almost violent jarring effect which is incredibly uncomfortable. This lack of a reasonably priced solution left the market door wide open to Boogie Rated as they decided to undertake this task for some die hard enthusiasts. Now, an economical solution exists for the heavy duty off road market. 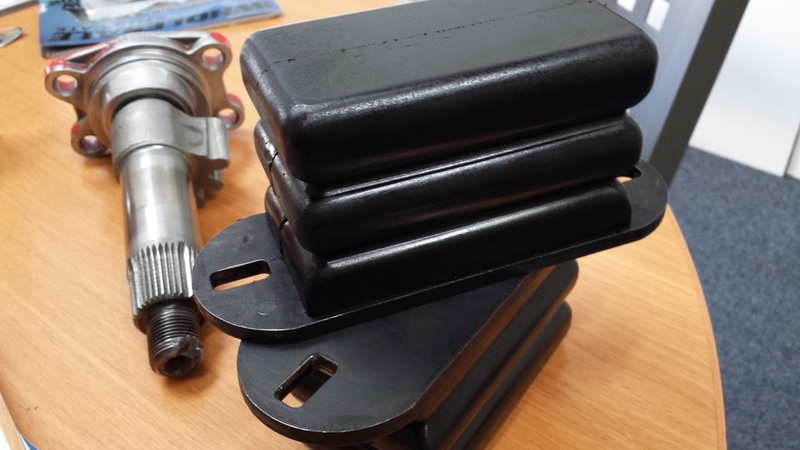 As more and more people are adding large aftermarket race shocks to their trucks there is a continuous need for a comfortable bump stop that increases vehicle control. Installation and fitment is pretty straight forward. The base product is the Boogie Bump Stops themselves, for fabricators and DIY guys that’s all you need. You can add pre-cut weld on plates that can be welded to the OE bump stop cup or whatever drop braketry you have created over the life of your rig. 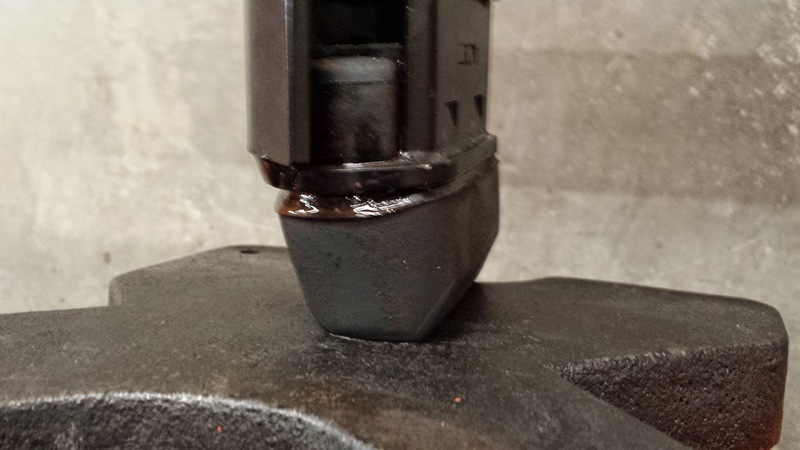 For those who have never modified the OE bump cups there is also a clam shell clamp that will allow you to easily bolt the Boogie Rated bump stops onto front of the truck. How do they mount to the rear? They bolt right up to your OE mounts. No need for the extra brackets. For 6” trucks you will need drop brackets in addition to the bump stops in order to lower them down. If you already have a fabricated drop from another product you can likely bolt this up to the existing mount or just modify your assembly as needed. 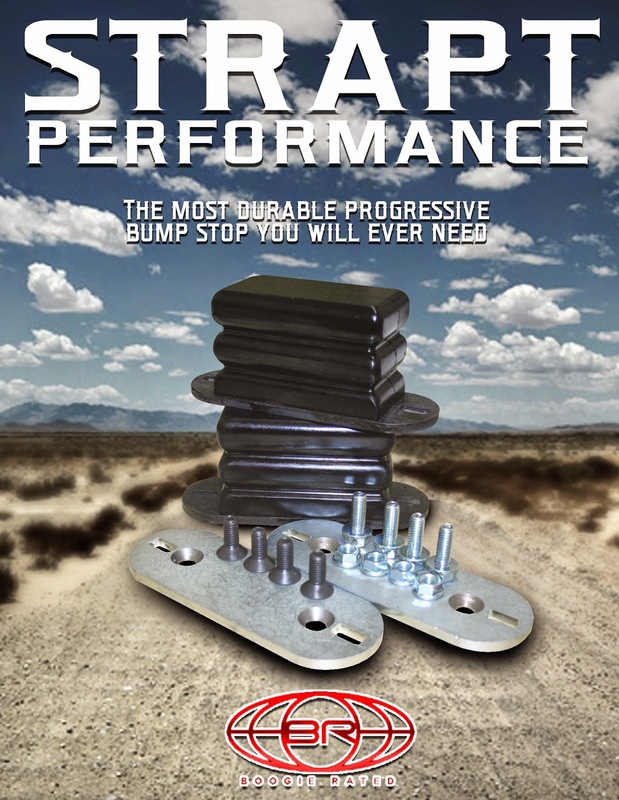 Strapt Performance is now stocking Boogie Rated Bump Stops as well as the various brackets and drop blocks. If you have questions about fitment please contact us and we will be happy to help you get the correct accessories to maximize the performance of your suspension system.